If you take care of your health, you know that one of the most important things which clearly has great value is honey. Among many other healing methods, honey is certainly one for the issues like light bruise, cuts, nicks, and burns. There are other benefits too among which facial care comes on top. People spend a lot of their wealth on it, but many don’t know that the easiest and natural way of facial care is using honey. So, now you know the importance of honey, but if the honey is Manuka Honey, then all of its characteristics increase to a great extent. It is even more helpful. Now, before the review on HNZ Manuka Honey, you must know what Manuka Honey is? This type of honey is majorly found in New Zealand. Manuka is a bush which is found in that particular part of the world. The Manuka Bushes are pollinated by the bees, and hence they produce this special variant. The wounds heal rather quickly with the use of it. Now different brands in the world claim that the Manuka Honey they produce is the best. We will here help you in checking out one of the top Manuka Honey brands today. Now, in Singapore, we have HNZ Honey. This brand is a big name is the biggest Manuka Honey providers. Before knowing about their company more, we must first understand that if the money they are providing really that good which they are claiming? Of course, it is. It has the certification of UMF (Unique Manuka Factor). They taste the product and grade it according to its quality so that the user gets the best thing. You will find the UMF gradation in each and every jar of honey produced by the HNZ. 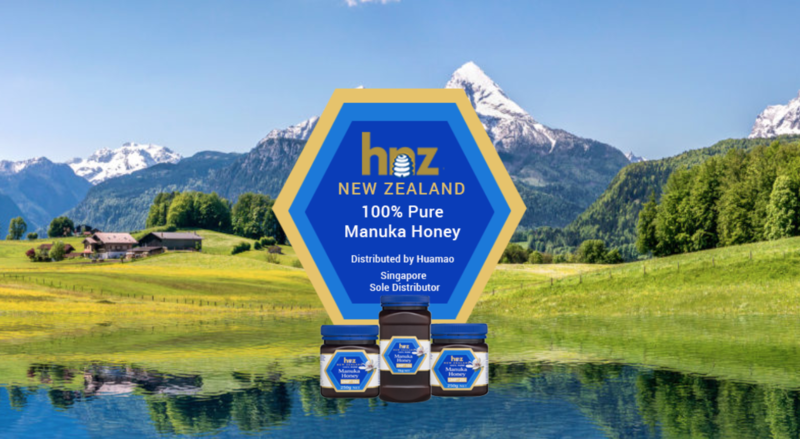 The HNZ (Honey New Zealand) is regarded as one of the best honey producers in the whole world. This unique is found only in New Zealand so there are no other countries in the world that could provide you the quantity of Manuka Honey that New Zealand offers. Hnz has great team experts who provide the perfect environment for the bees so that they could produce the best quality, honey. Not only Manuka Honey but the HNZ are big sellers of Propolis throat sprays & capsules along with Manuka Oil. The quality is important, and they check the quality of each batch carefully to make them perfect. Lastly, we can say that the product is distributed by one of the most trusted companies in Singapore Huamao Agencies. They are working in Singapore with a good reputation for over 50 long years. They only believe in providing the best and healthy products to the people of Singapore. Some of their brands like the POLLENEY and SONGSHAN are very popular in Singapore. So, if they are distributing any product, you can easily sense that they are satisfied with the product or else they would not have taken the responsibility of distributing it. The product is genuine, and you should go for it.